CSA is short for Community Supported Agriculture. In short, our farm (the agriculture) is supported by a community of members who finance the operation of the farm for the year and in return receive a share of the weekly harvest. There is no middle-man in your produce, it is grown and picked by us and delivered to you. Is a CSA a good deal? We have compared costs between our boxes and equivalent organic produce at a natural foods store or food coop grocery. We are certified organic, so that is the closest cost comparison we can find. Over the course of the season, you end up paying significantly less (20-40%) for the food when compared side-by-side to a food coop. Will a CSA share supply all of my vegetable needs? That depends. Some people are vegetarian and cook large quantities of veggies and they join CSAs to supplement their farmers market or grocery store purchases. Some folks don't eat too many veggies and a half-share from our farm is too much but they join to try new things and learn how to cook more vegetables. We can’t grow tomatoes in June, so if you want tomatoes in June you’ll have to buy them at the store. A CSA share is a seasonal representation of what can be harvested on our farm on any particular week. Some members want to only eat seasonally and use our CSA as their primary vegetable source, and they challenge themselves to eat every single thing in the box, including all of the greens, tops, and herbs. Many members have their own gardens but join a CSA to supplement their own gardens if their crops don’t work out. We suggest you join a CSA, grow your own garden, and supplement with grocery store purchases for out-of-season items and things that can’t be grown in MN (like peanuts, jicama or bananas). Why isn’t my box full this week, I thought I was paying for a bushel every week? A CSA follows the growing season in Minnesota, and each week must be considered in the context of the entire growing season. The bushel box is the unit of packaging, but it is not necessarily the volume you’ll receive each week. Typically, early boxes have fewer items and are heavy on greens. By mid-summer, the boxes are packed full, and in the fall we frequently have to give items like squash and watermelons out separately because they don’t fit in the box. We simply cannot grow tomatoes and peppers in June, nor can we grow tender lettuce and spinach in August. You are purchasing a share of the weekly harvest on our farm, not a specific quantity of produce each week. We’ve never had fewer than 6 items in our CSA box, and when it’s averaged out through the whole season, we have 12-15 items a week and we fill the box. Pound-wise, you can expect 15 pounds of produce weekly on average through the season. Why do you include the tops on radishes and turnips? I’ve always thrown those away. Everything we put in the box is edible. You may not be used to using radish tops, but they are edible and are commonly eaten in other parts of the country and world. A CSA is an educational experience for many people in cooking new things, and using parts of the vegetable that you aren’t used to using. We feel like it’s important to maximize the use of every vegetable, and those tops are actually as nutritious (or more!) than the root – they certainly contain more vitamins. We figure, why not eat it instead of wasting? Why do you start later than some CSAs? We begin our CSA in mid-late June, a week or two later than some CSAs. This is mostly due to our soil type because we usually can’t get in the fields to plant until late April or early May when the soil dries out. Our CSA season is 18 weeks long, which is typical for southern MN CSA farms. Every farm has its advantages and disadvantages due to soil type, topography, deer and rabbit pressure, and weather, so it’s not an apples-to-apples comparison when deciding which CSA to join. Do you grow everything in the box yourself? Our share is from our farm. We are not a buying club where you’re getting produce from multiple sources and it’s just packed by us. However, there are some items that are difficult for us to grow and we may buy from a farmer we know to supplement our box a couple of times a year. For example, we don’t grow sweet corn every year because every farmer around us is growing conventional feed corn and it would cross-pollinate our fields. But we may buy it from a trusted sweet corn farmer locally and give it out. Also, we haven’t established a large quantity of fruit on our farm yet (we’re working towards that!) so we partner with a student-run organic apple orchard in Henderson to include apples in our boxes when they’re available. My greens have some bug holes, can I eat those? Why doesn’t some of my produce look as good as what I see in the grocery store? We don’t put anything in the boxes that can’t be eaten. You may have to work a little, like cutting out a bad spot here and there, or accept a few bug holes in your Kale. What you see at the grocery store is the best of the best from farms mainly in Florida and California, and is an inaccurate representation of what a farm actually produces. Nearly half of the food produced in this country is thrown away because it doesn’t meet grocery store standards, but it is perfectly edible. We feel that is a tragic waste of food and is indicative of a flawed food system. We feel people should be more accepting of things not looking so perfect because it’s just not the reality of farming and nature. This is why we have chosen to be certified organic. We do everything we can do to make sure the produce is of high quality in appearance and taste, but nature rules and it doesn’t always work out how we want. We are organic and can’t spray - you may also not know that we are actually allowed to use some chemicals that are supposedly safe for organic production, but we choose not to use them anyway because we still view the chemical solution as wrong. We would rather give you what we do have, even if it doesn’t look perfect, than not give you produce because it doesn’t look perfect. Also, most modern vegetable varieties have been bred to look perfect on the store shelf, but have very little flavor. You might get some bug holes, but you can be assured our produce will taste better than anything in the store! And you’ll probably find that our produce usually looks way better than what is in the store, and keep in mind that items are picked within 1 day of your delivery and haven’t traveled 2000 miles on a refrigerated truck for days to get to you. This is a primary philosophy of our farm and we hope you choose us because of our ethic. I see on Facebook that you are selling Swiss Chard and other items to a food coop or restaurant, but it’s not in my CSA box. Why? We grow certain crops for wholesale as a separate part of our business, and those crops don’t “compete” with the CSA business. For example, we grow Swiss Chard for wholesale and our farm produces a steady supply of that crop from May to November. But we grow a separate crop of Swiss Chard for CSA that will end up in 5 or 6 boxes throughout the year. Most CSA members wouldn’t want Swiss Chard every single week, but a grocery store buyer does. Can I visit or work on the farm? Please check our online calendar for opportunities to tour or work on the farm. We have open houses each year, member workdays, and farm tours. 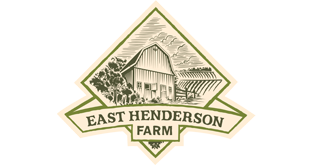 We are very open to ad-hoc tours or farm visits, so please call us anytime and we’ll work out a personal tour or work opportunity for you and your family. When you become a member, you can share not only in the farm’s harvest, but the farm experience as well!